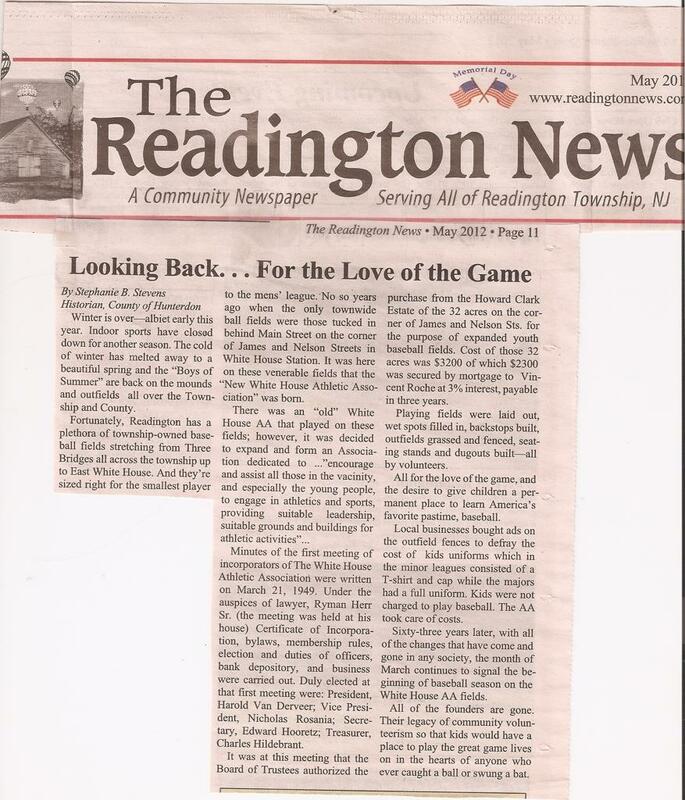 Opening Day 2014 ceremonies included opening remarks by league president Bill DiGiovanni, the national anthem sung by Chloe Stephenson, a history of Readington baseball by Hunterdon County Historian Stephanie Stevens; and recognition of Bucky Lance, age 88, who coached the drug-store-sponsored Gray's Rexallites to victory in 1955, and Steve Bush, one of his players. RTJBL Hall of Fame & Memorabilia Museum: Where "The Past is Prologue!" 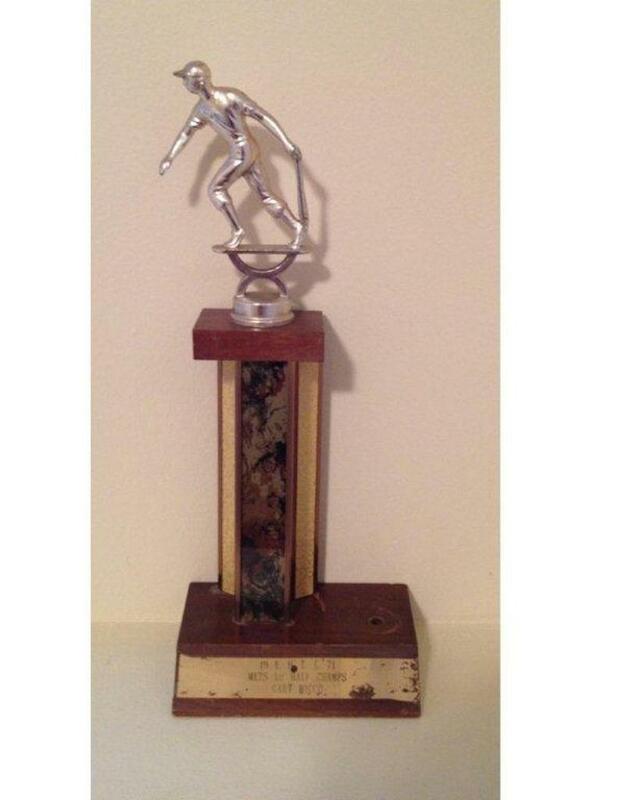 - Photos & Memorabilia Courtesy of League Alumnus Gary Micco, with Heartfelt Thanks!!! 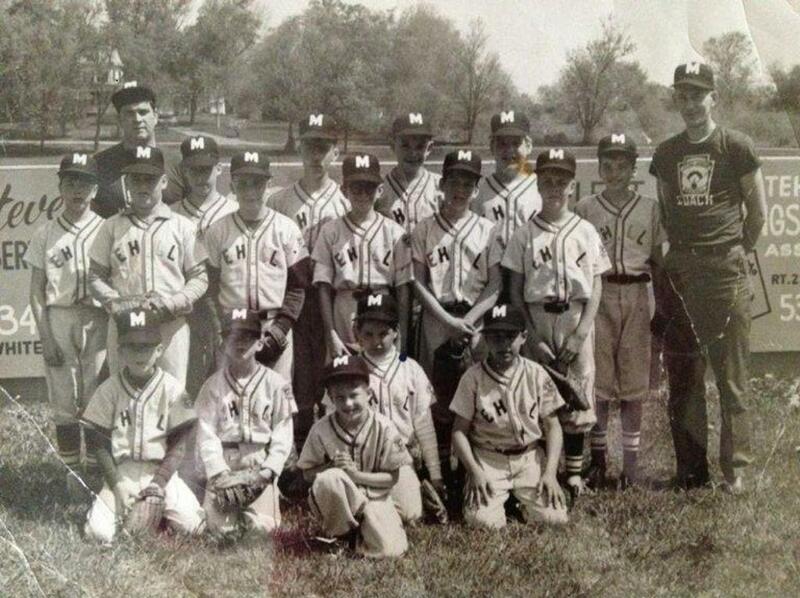 1969 East Hunterdon Little League "Mets" Team Photo at the RR Outfield Wall -- Who knew those "Amazins'" would go on to win the World Series!!?? 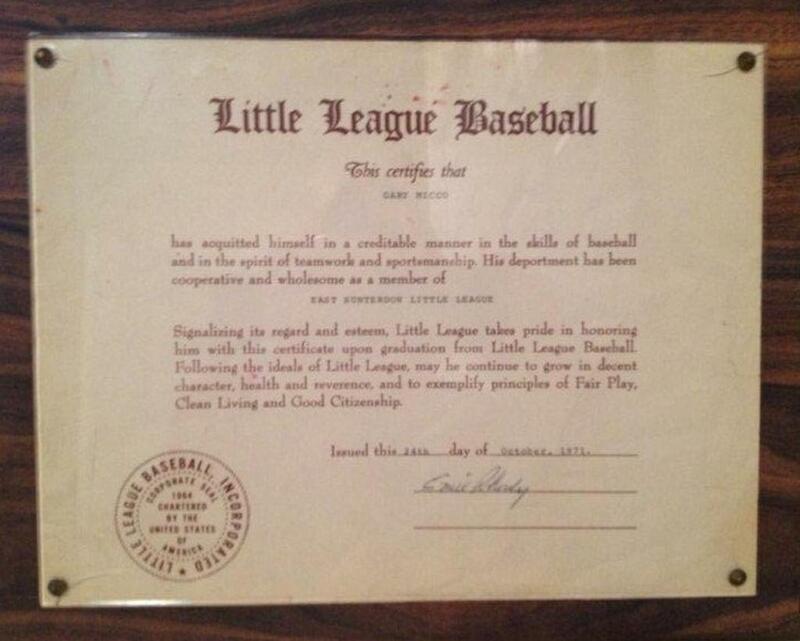 1971 East Hunterdon Little League "Graduation Certificate". 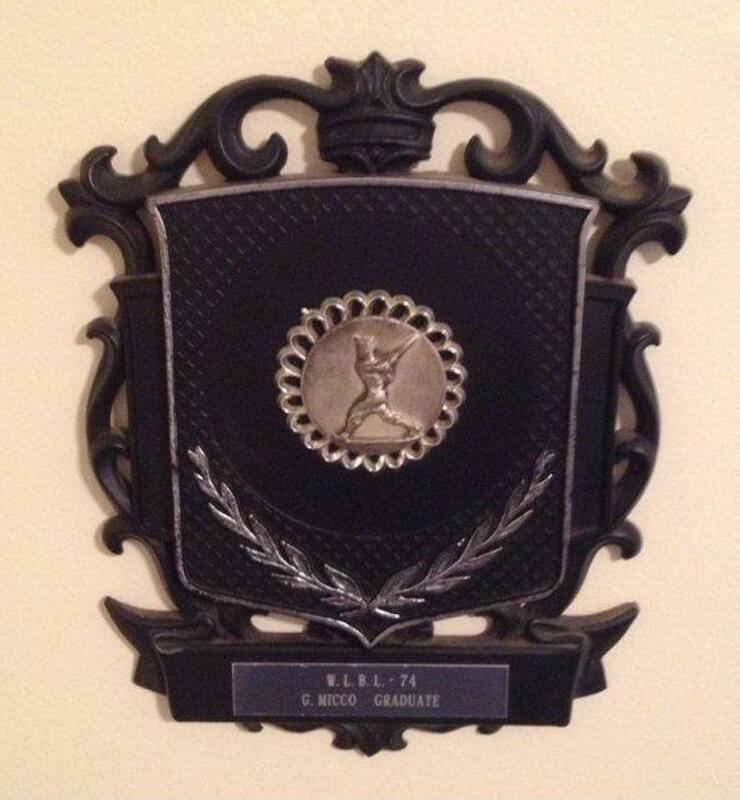 Players would "graduate" and receive such a certificate in their final yer of League play. 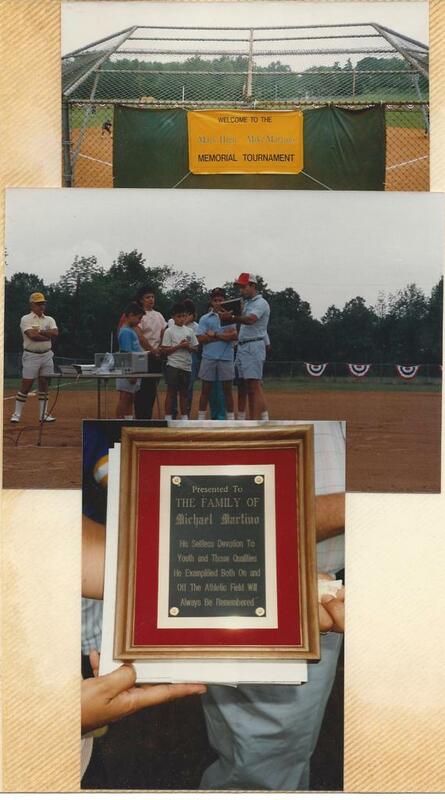 Mark High/Mike Martino, Jr. Memorial Tournament of 1988; Dedication Ceremony of the Martino-built RR-B. Courtesy of John A. Martino. 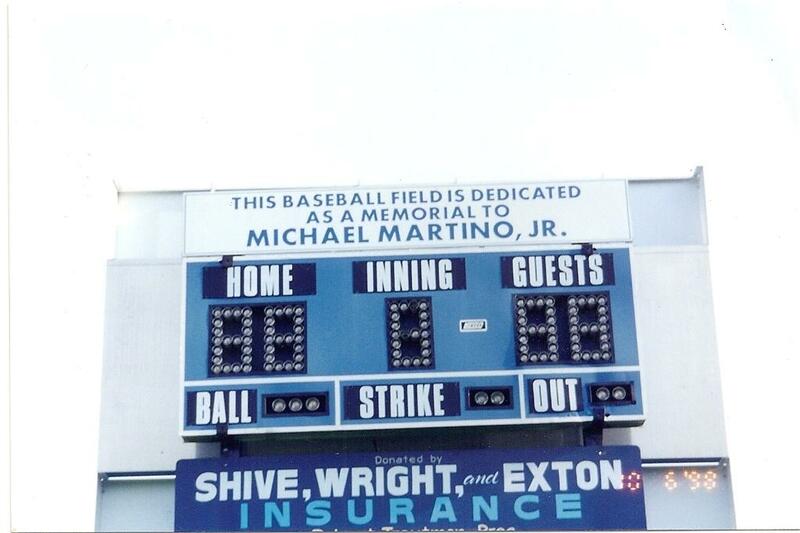 Dedication and Memorial Sign for Mike Martino, Jr. - The Man Who Built RR-B and the Namesake for the Annual RTJBL Mike Martino, Jr. Memorial Scholarship Award. Mike Martino, Jr. - Truly a RTJBL Legend. 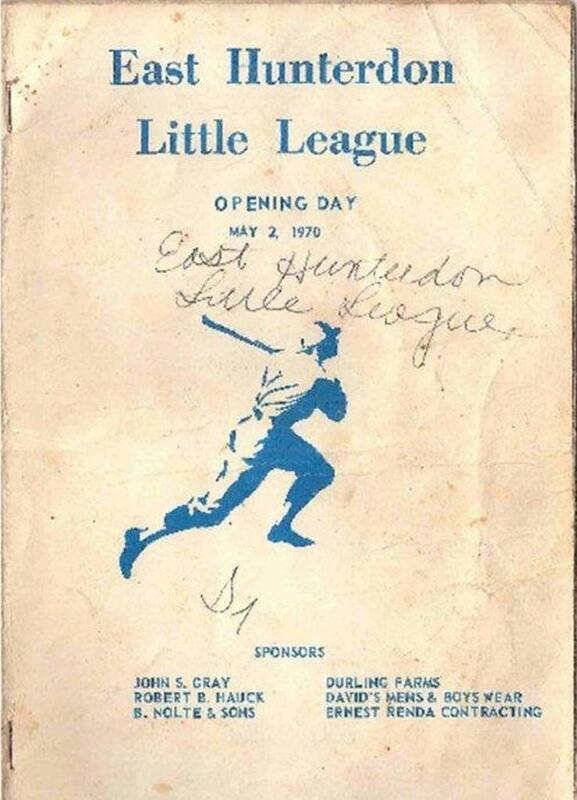 1971 East Hunterdon Little League Trophy: "Mets - 1st Half Champs"
1974 "Graduate" Player Pin for players in the "Whitehouse Little Bigger" League (today's RTJBL Babe Ruth Division - 13-15 yrs). The "Little Bigger League" team played teams from Clinton, High Bridge, Tewksbury, Branchburg, Quakertown & Riegel Ridge. 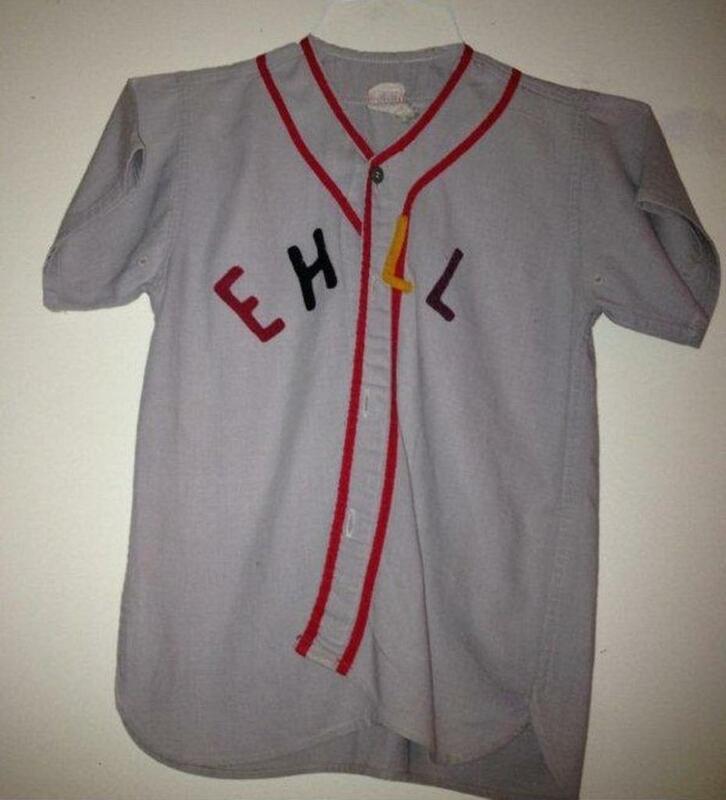 The E.H.L.L. 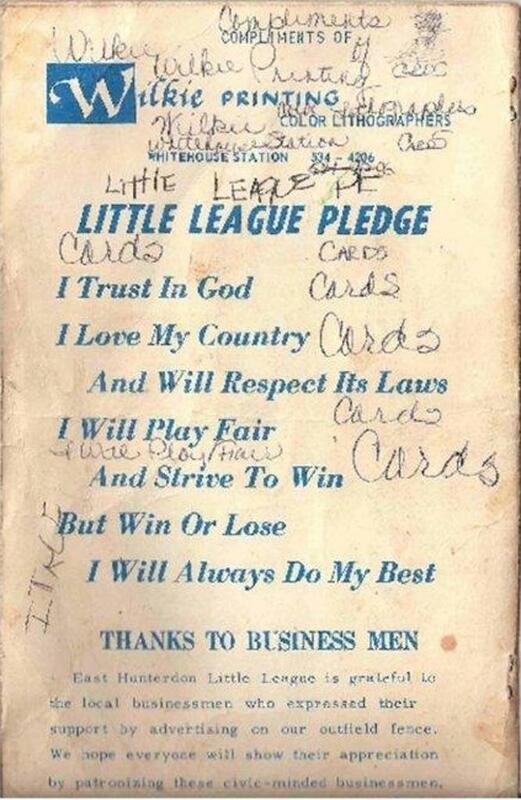 "Little League Pledge". 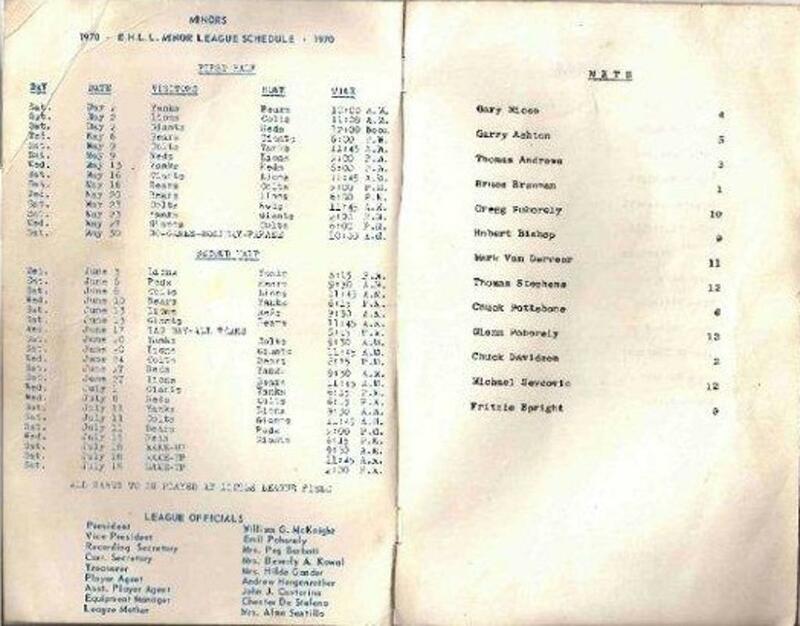 In the late 1960's to early 1970's there were six "Minor League" teams (7-9 yrs. 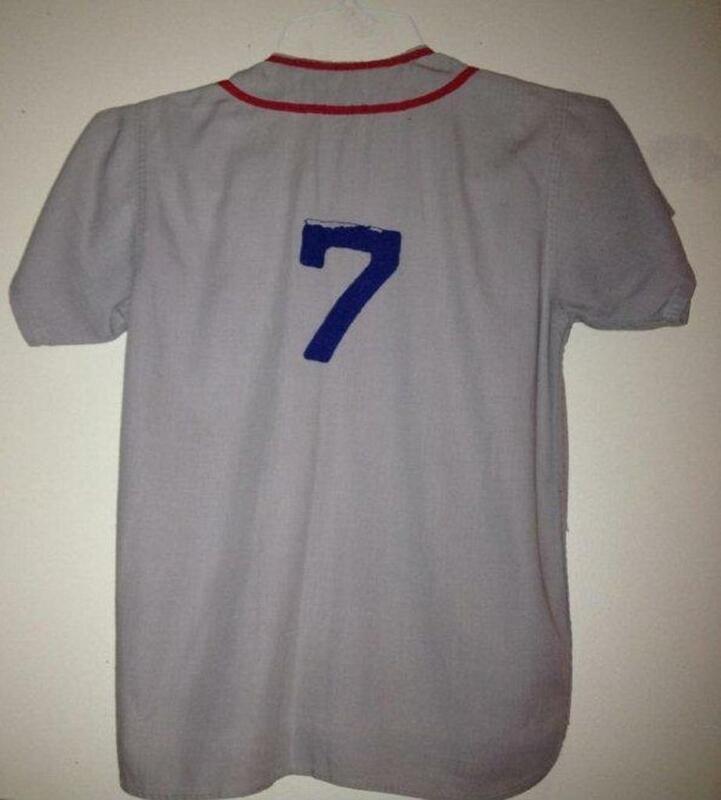 ): Yankees, Lions, Giants, Bears, Colts and the Reds. 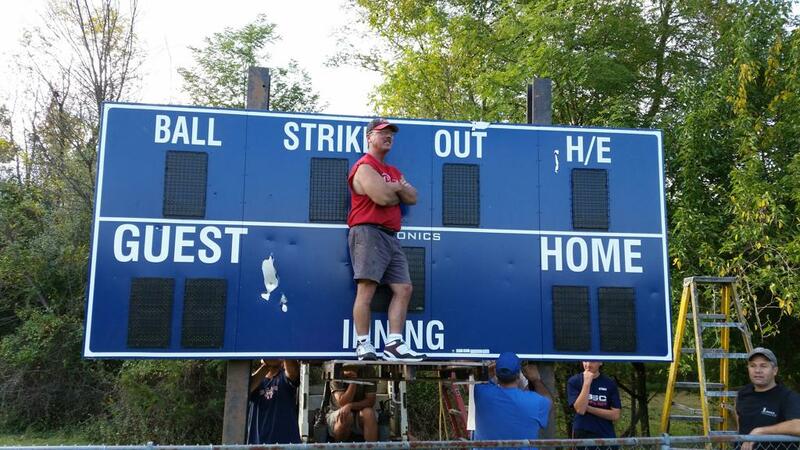 And four "Major League" teams (10-12 yrs): Mets, Cardinals Cubs and the Mohawks. 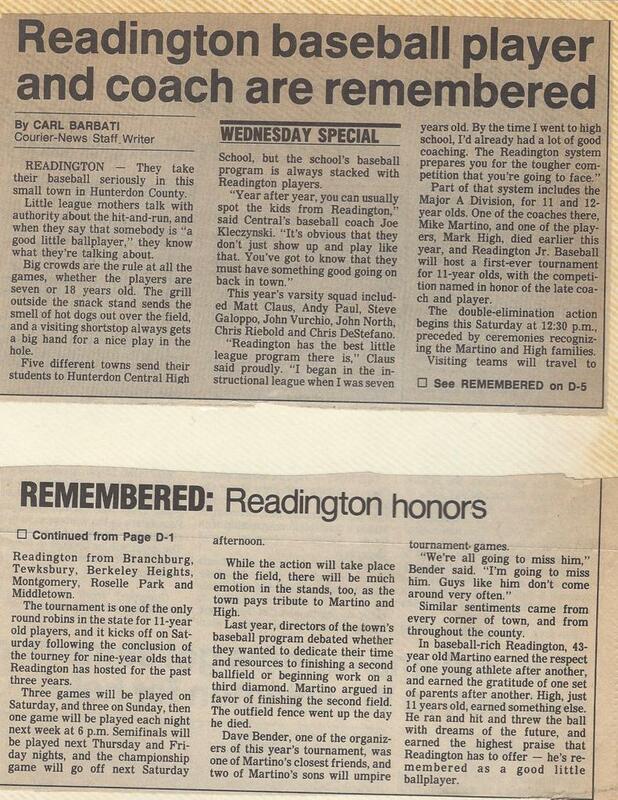 Courtesy of John A. Martino, youngest son of Mike Martino, Jr. who built RR-B: "The construction of the B field was a priority for him, even when he was dying. 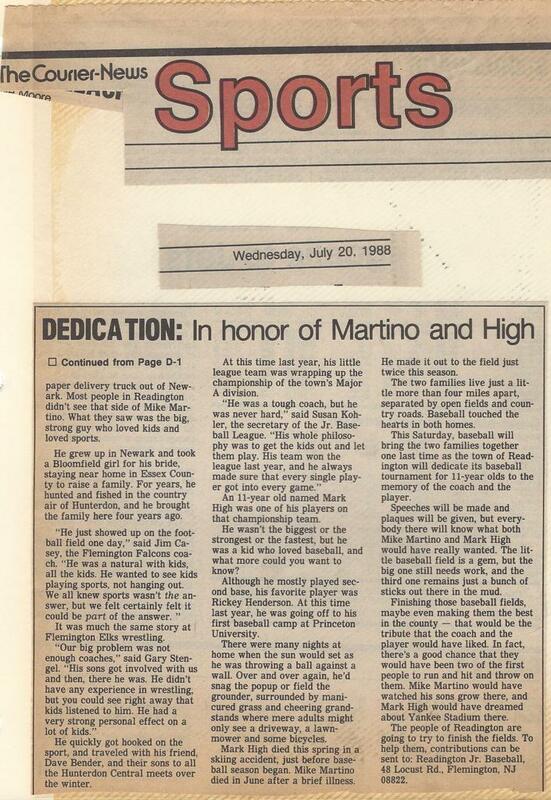 He loved coaching and loved baseball". 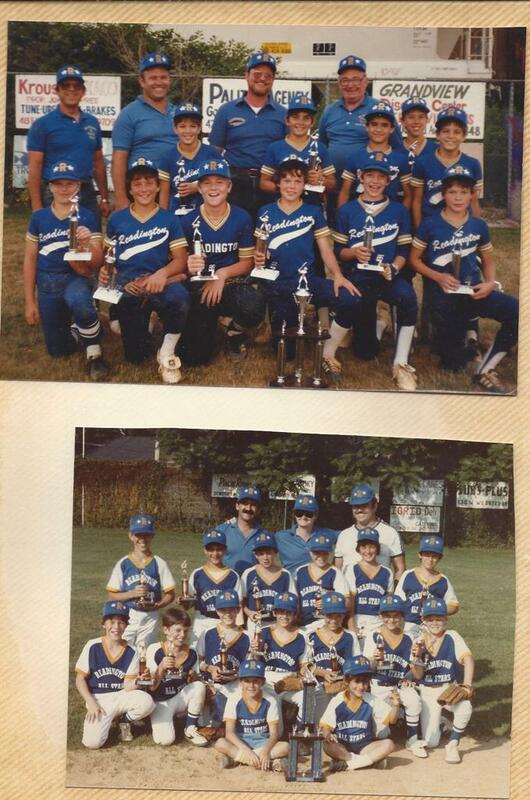 Two of Mike's All-Star teams from the mid-80's. 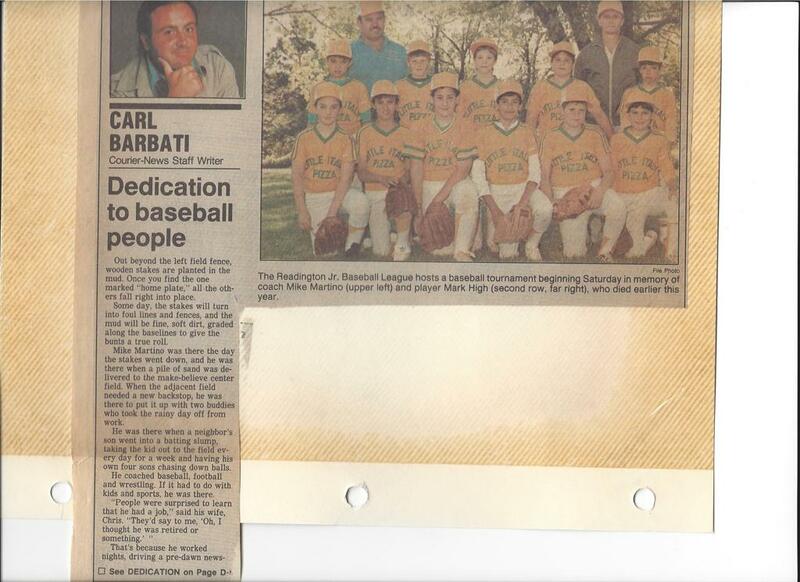 OPENING DAY 2013: RENEWING OUR TRIBUTE TO MICHAEL MARTINO, JR. - BUILDER OF RR-B; RTJBL LEGEND!!!! 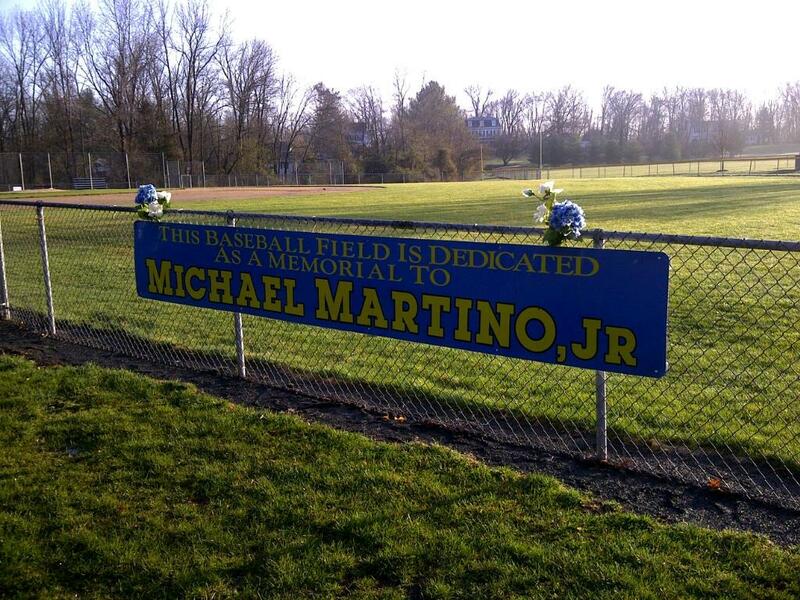 THANK YOU, MIKE, AND ALL MEMBERS OF THE WONDERFUL MARTINO FAMILY ON-HAND TO HELP US RE-DEDICATE THE MEMORIAL SIGN TO MIKE AT RR-B!!!! !